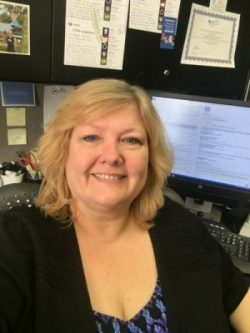 Angela is the Foreign-Trade Zone Program Manager for the Columbus Regional Airport Authority which operates John Glenn International, Rickenbacker International and Bolton Field Airports in Columbus, Ohio. CRAA is the grantee of FTZ 138 which covers 25 counties in Central Ohio. Over $9 billion of merchandise is received annually, ranking the zone eighth out of 195 active zones in the country for warehouse and distribution. FTZ 138 is also ranked 25th for exports out of a zone. Before becoming the FTZ Program Manager in January of 2011, Angela was CRAA’s FTZ Marketing Coordinator for 12 years. She has been a member of the National Association of Foreign-Trade Zones (NAFTZ) since 1999 and is an active member and past chair of the Grantee Committee. She is also serving her second term on the NAFTZ Board of Directors. Angela received her bachelor’s in Business Education from Ball State University in Muncie, Indiana, and she earned her Accredited Zone Specialist certification in July 2015.